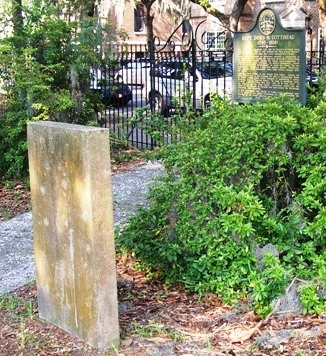 Colonial Park is the second cemetery in Savannah. It was founded in about 1750 and closed in 1853. As a result there are no Confederate graves here as the War Between the States was fought from 1861 until 1865. 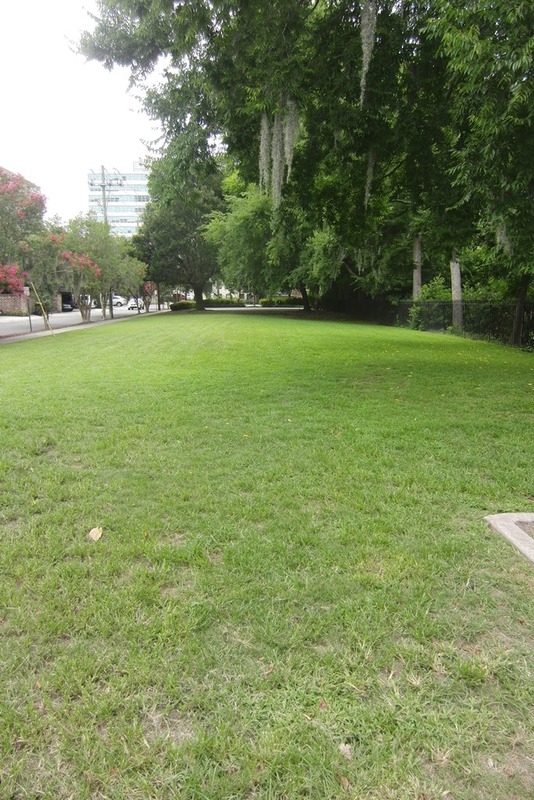 Colonial Park is the final resting place of the city’s most famous and infamous early citizens. Despite the large number of interments there are only about 1,000 tombstones remaining. 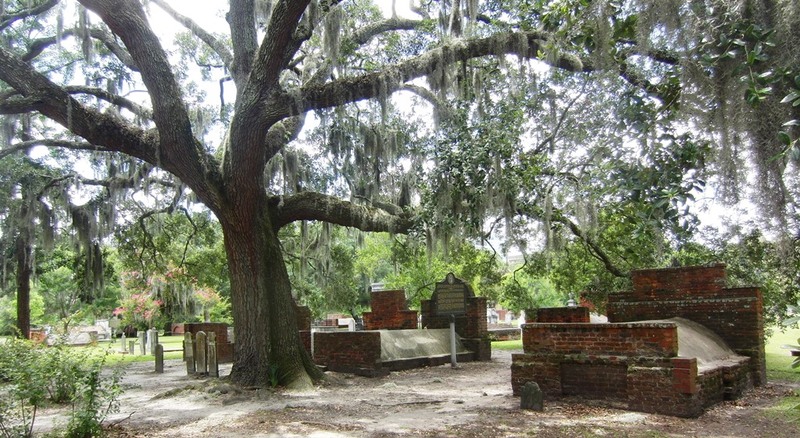 Colonial Park is rumored to be the most haunted place in Savannah. The best known ghost story, considered apocryphal by many, is about a murderous giant named Rene Rondolier who supposedly killed a number of young girls in the cemetery. The tale goes on to report he was captured, tried and hung from a “hanging tree” in Colonial Park. Ghost hunters report seeing his spectral figure walking about the burial ground. However, Savannah had and still does have a thriving Voodoo culture. Before the cemetery was fenced and locked at night people reported finding remnants of Voodoo ceremonies on graves while walking the property early in the morning. Bulloch, Archibald (1730-1777) – American Patriot – A South Carolina native, he earned a law degree and moved to Savannah in 1764. In 1768 Bulloch was elected to the Common House of Assembly of Georgia. A staunch advocate of American rights he was an early supporter of the 1774 call for the first province-wide meeting of the Friends of Liberty in Georgia. 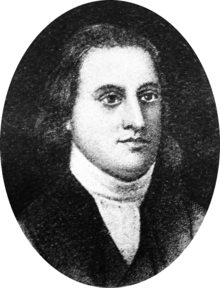 Bulloch was named the President of the 1st and 2nd Provincial Congress of Georgia and a delegate to the 1775 Continental Congress. The following year he became the first President and Commander and Chief of Georgia. In the Revolution Bulloch fought at the Battle of the Rice Boats and the Battle of Tybee Island. He died under mysterious circumstances in 1777. President Theodore Roosevelt was his great-great-grandson and First Lady Eleanor Roosevelt was his great-great-great -granddaughter. 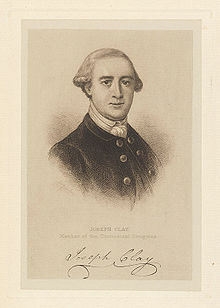 Clay, Joseph (1741-1804) – Soldier and Public Official – He was born in England and immigrated to Savannah in 1760. Prior to the American Revolution, Clay was a very successful merchant and rice planter. He supported the American Independence cause and was a delegate to the Georgia Provincial Congress in 1775. That same year Clay took part in the raid on the British Powder Magazine in Savannah. He was named a major in the Georgia Line in the Continental Army during the Revolution. Clay was soon appointed a major and Deputy Paymaster General of the Continental Army. Following the war he was elected State Treasurer, a judge and a trustee of the University of Georgia. Cottineau De Kerloguen, Denis (1745-1808) – Naval Officer – Born in France he immigrated to America to fight in the American Revolution. De Kerloguen was Master and Commander of the Pallas, an American ship of war involved in one of the most legendary sea battles in our history. Captain Cottineau joined John Paul Jones, captain of the Bon Homme Richard, in the engagement with two British ships on September 23, 1779. During the battle the Pallas forced the HMS Countess of Scarborough to strike her colors (surrender). For this skillful seamanship and bravery both Captain Jones and Benjamin Franklin praised Captain Cottineau. The French, an American ally, awarded him the Cross of St. Louis medal. After the war Cottineau moved to the French West Indies before returning to America to assist in establishing a colony in Pennsylvania. 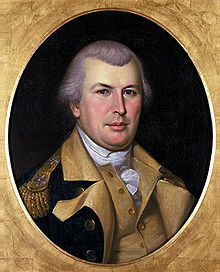 Elbert, Samuel (1740-1788) – Soldier & Georgia Governor – A native of South Carolina, his military career started as lieutenant colonel in the Grenadier Guard. 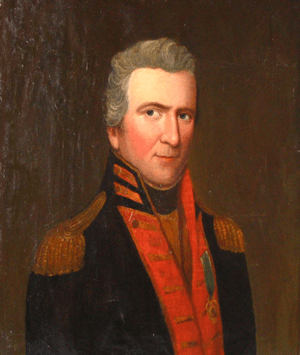 When the American Revolution started Elbert was promoted to colonel and commanded forces against the British in east Florida (1777), captured Fort Frederica on St. Simon’s Island, Georgia (1778) and the Battle of Briar Creek, South Carolina (1779) where he was captured by the English. Following a prisoner exchange he joined General George Washington, saw action at the Battle of Yorktown and was promoted to brigadier general (1783.) Elbert was elected governor of Georgia in 1785. Gibbons, William (1726-1800) – Politician – This South Carolinian was a lawyer who practiced in Savannah. Gibbons joined the Sons of Liberty in 1774. In 1775 he took part in the raid on the British Powder Magazine where they captured 600 pounds of gunpowder. As a politician Gibbons was a delegate to the Provincial Congress (1775), member of the Committee of Safety (1775), member of the Executive Council (1777-81), member of the Continental Congress (1784) and Speaker of the Georgia House of Representatives (1783, 1786-7). Gwinnett, Button (1735-1777) – Signer of Declaration of Independence – Born in England, educated at King’s School, he became a successful merchant. Gwinnett arrived in Georgia in 1765, abandoned his mercantile trade and purchased a plantation which prospered. In 1769 he was elected to the Provincial Assembly where he met Lachlan McIntosh (See McIntosh below), who became his bitter enemy and rival. Gwinnett voted for the Declaration of Independence and signed it on August 2, 1776. He was considered for a brigadier general rank during the Revolution but as fate would have it, McIntosh was promoted instead. This insult did not sit well with Gwinnett. In 1777 he served in the Georgia State Legislature and soon was elected Speaker. Gwinnett and McIntosh locked horns again in 1777 over who was responsible for a failed invasion of East Florida during the Revolution. This running feud finally ended on March 19, 1777 when McIntosh killed Gwinnett in a duel. Habersham, James (1712-1775) – Major Planter & Merchant – A native of England as a young man he worked as a merchant apprentice prior to converting to Wesleyan Methodism and immigrating to Georgia as a missionary in 1738. Habersham was a founder of the Bethesda Orphanage in Savannah. In, 1744 he revived his career as a merchant and established a 15,000 acre rice plantation. Habersham remained a Loyalist to England during the Revolution serving as Provincial Secretary, President of His Majesty’s Council of Georgia and acting Governor of the Province (1771-3.) Fearful of the bloody consequences of the upcoming conflict with England he said it put “…father against son and son against father…” All three of Habersham’s sons (see below) supported the Revolution. Habersham, James, Jr. (1745-1799) – Merchant & Politician – Born in Georgia, he opened a mercantile business. Habersham strongly opposed the Revenue Acts of Parliament (1775.) He was elected Speaker of the General Assembly (1782 – 84.) In 1785 he was placed on the Board of Trustees of the University of Georgia. Habersham, John (1754-1799) – Soldier – A native Georgian he served with honor in the 1st Georgia Continental Regiment during the Revolution. Habersham was captured twice by the British but managed to escape. He was a delegate to the Continental Congress (1785) and first Collector of Customs for Savannah. 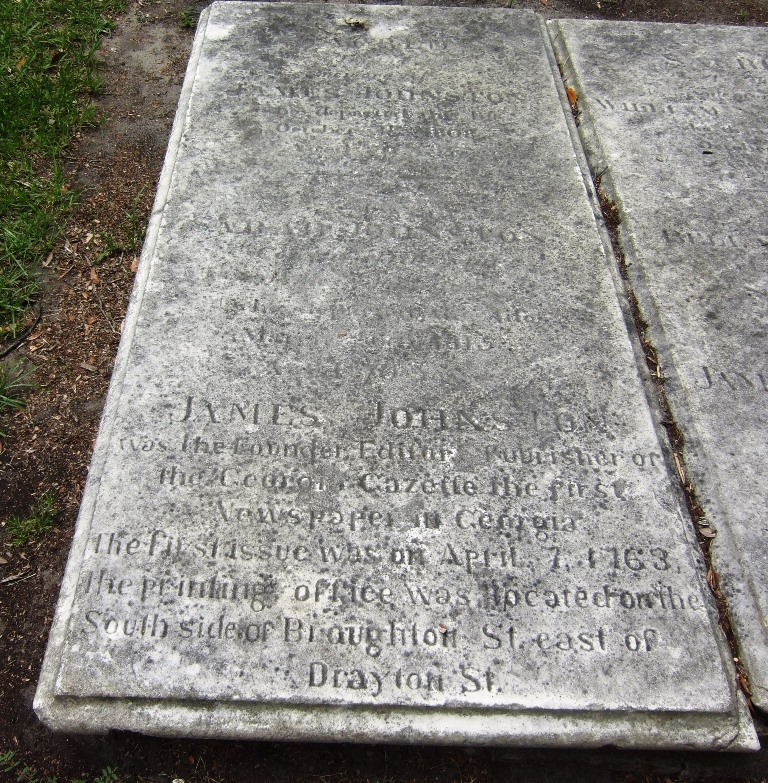 NEW Johnson, James (1738-1808) – Newspaper Editor – Born in Scotland he arrived in Savannah in 1761. Johnson was a printer by trade and was chosen Public Printer of Georgia by the State Legislature. He opened a newspaper, the Georgia Gazette, in 1763. The paper was published periodically until 1802. During the Revolution Johnson was a Royalist and closed the paper in 1776 because “he refused to admit to his Paper any of the Seditious publications then circulating thro’ the different provinces.” He opened another newspaper following the War in 1783. Johnson called this new venture the Gazette of the State of Georgia. 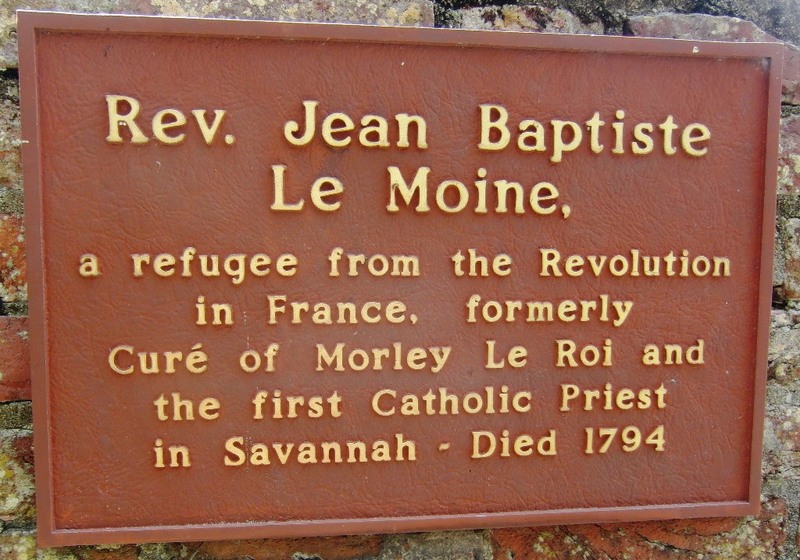 NEW Le Moine, Jean Baptiste (?-1794) – Priest – Little is known about his life except Le Moine was the first Catholic priest in Savannah. NEW Malbone, Edward Greene (1777-1807) – Artist – He was a native of Rhode Island and began his artistic career in Providence in 1794. Malbone became America’s best known painter of miniatures. His career took him to Boston, New York, Philadelphia, Charleston, Jamaica and London before he settled in Savannah. Malbone was in poor health most of his adult life and died of tuberculosis at age 30. In the art world he is still considered the greatest miniaturist of all time. 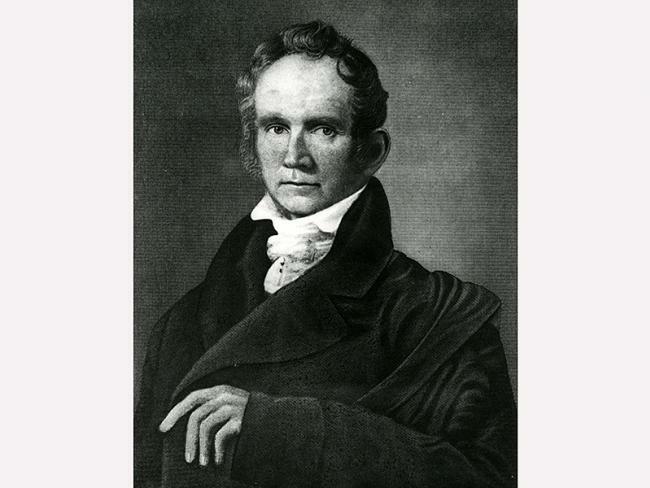 NEW McCall, Hugh (1767-1823) – Historian – Born in North Carolina little is known about his early years including when he moved to Georgia. Despite being disabled and in poor health most of his life, McCall became Georgia’s first historian. 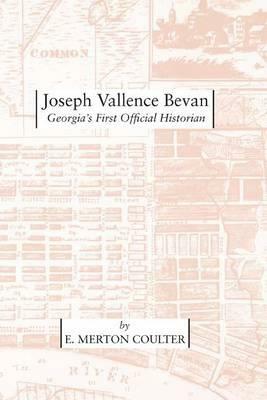 He published the History of Georgia Volume 1 in 1811 and Volume 2 in 1816. This was an impressive achievement in that there were few archival collections or correspondence available for him to study. Instead he had to rely on scattered source materials and oral interviews. McIntosh, Lachlan (1727-1806) – Soldier – A Scot by birth, he immigrated to Georgia with his family in 1736. In 1748 the family moved to Charleston, South Carolina before returning to Georgia in 1756. McIntosh became a very successful rice planter. He was a strong supporter of American rights and in 1775 helped organize the Georgia Provincial Congress. The following year McIntosh was commissioned as a colonel in the Georgia Militia. He organized the defense of Savannah and fought to repel the British forces in the Battle of the Rice Boats. For his efforts in that battle he was promoted to brigadier general of the Continental Army. In 1776 McIntosh and Button Gwinnett, Speaker of the Georgia Provisional Congress and a radical Whig (See Button above), began a bitter feud. Gwinnett began a purge of his political and military rivals including McIntosh’s brother George. That action was the straw that broke the camel’s back. McIntosh called Gwinnet “a scoundrel and lying rascal” and challenged him to a duel. It took place on May 1, 1777, resulting in the death of Gwinnett. McIntosh was charged with murder but was acquitted. 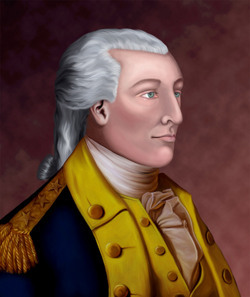 General George Washington feared Gwinnett’s supporters would take revenge on McIntosh and ordered him to join his staff. While there McIntosh fought at the Battle of Valley Forge. Subsequently, he was given command of Fort Pitt (Pittsburgh today), established several frontier forts and commanded troops at the Battle of Savannah. Following the war he returned to his rice plantation only to find it burned to the ground by British troops. He died a pauper. NEW Pierce, William Leigh (1740-1789) – Continental Congressman – He was born in Georgia but little else is recorded about him until he joined the American Revolution Army as an aid-de camp to Major Nathanael Greene (See Johnson Square.) 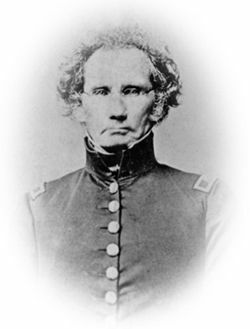 Pierce was commended for bravery at the Battle of Eutaw Springs and earned the rank of Major. Upon his discharge he settled in Savannah and opened an import-export firm. Pierce’s interest turned to politics and in the next few years he served in the Georgia House of Representatives (1786), Continental Congress (1786-7) and the Constitutional Convention in Philadelphia (1787.) Affairs of business forced him to return home. Thus he did not sign the Declaration of Independence. Nonetheless, he strongly supported its ratification. 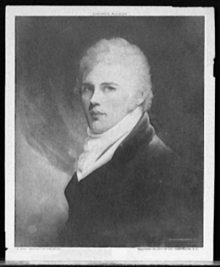 NEW Scarbrough, William (1776-1838) – Shipping Magnate – He was most likely an American by birth although he earned his education in Europe. In 1798 Scarbrough arrived in Savannah and opened a mercantile business. He obviously had a talent for that profession because within a few years he was listed among the “Merchant Princes” of Savannah. The Scarbrough home (still open for visitor tours) was the epicenter of the city’s social soirees. He and his wife, Julia, entertained President James Monroe on his visit in 1819. In that same year, in order to move his merchandise, Scarborough and his business partners formed a shipping line named the Savannah Steam Ship Company to transport goods across the Atlantic Ocean to Europe and beyond. They commissioned the construction of a 350-ton hybrid sailing ship/side-wheel steamer, S. S. Savannah. On May 22, 1819 she was launched on her maiden voyage. Arriving in Liverpool, England 27 days later, the Savannah became the first steamship to cross the Atlantic. 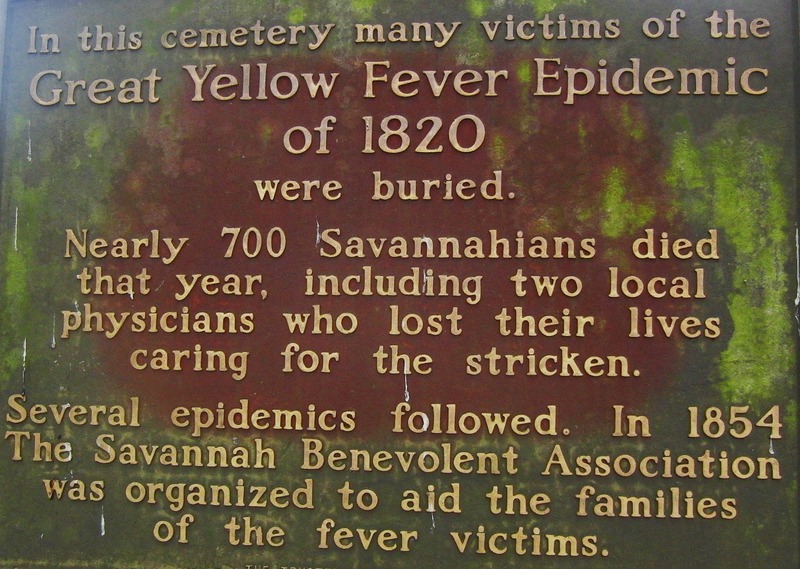 NEW Yellow Fever Epidemic (1820) – For two centuries beginning in 1700 the city of Savannah was plagued with Yellow Fever and many citizens died from this mosquito transmitted virus. During those epidemics citizens died very quickly and many physicians believed that the disease was caused by contagious mal aire or bad air. Thus most cadavers were placed in mass graves as rapidly as possible, until the 1900s when it was definitively proved that yellow fever was caused by the bite of infected mosquitos and not by human contact. NEW Zubly, John Joachim (1724-1781) – British Loyalist – Swiss by birth he arrived in America around 1744. Zubly was a Presbyterian pastor, planter and statesman during the American Revolution. He was a talented linguist and delivered Sunday sermons in English, French and German at the First Presbyterian Church in Savannah. 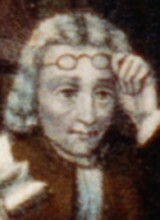 Although Zubly was a loyalist, he preached about better treatment of the American colonists and was elected to the 2nd Continental Congress in 1775 but was a strong opponent of independence. His political views eventually caused him to flee for his life from Savannah. Returning in1778 Zubly found his property destroyed by an angry mob. He died in 1781. Zubly is interred in an unmarked grave.